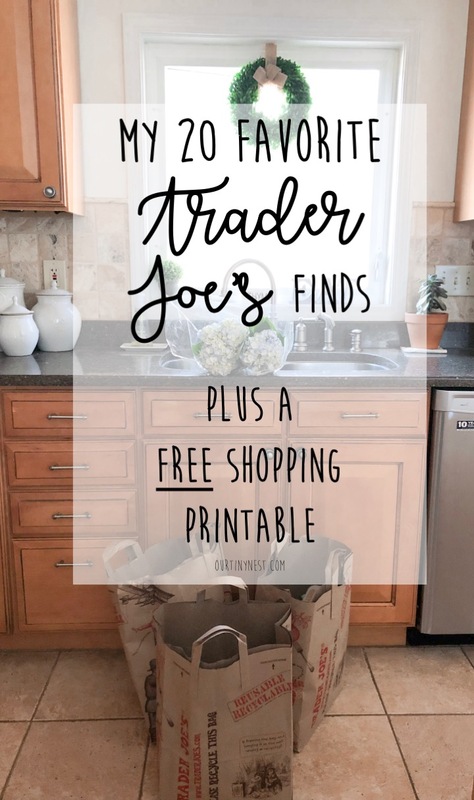 So if you’ve been following for awhile, you know that I am a huge fan of Trader Joe’s. I first became a fan when I was in college living in Boston and I could get a bottle of wine for $2. (I wish my local store sold the 2 Buck Chuck). 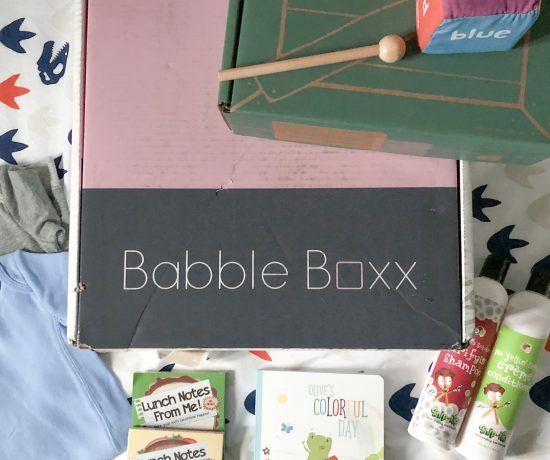 As I’ve grown into an adult, I love the whole shopping experience there – from the minute you walk through the door being wooed with flowers, free samples, and their variety of seasonal items. I typically hit up my local TJ’s every other week to stock up on my favorites. 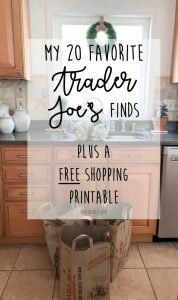 Below I am sharing 20 of my favorite Trader Joe’s finds. 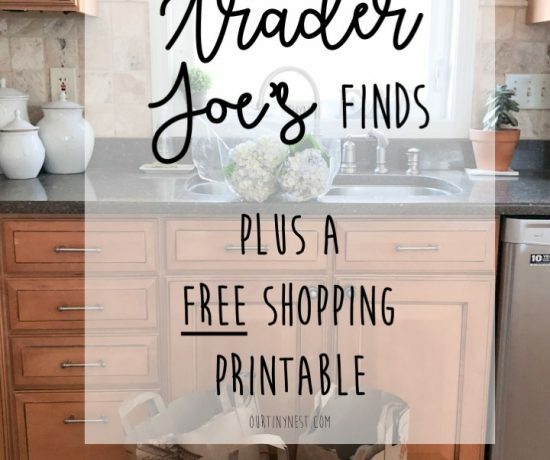 And be sure to scroll to the bottom and print out my shopping list that I’ve provided for you! 1.) 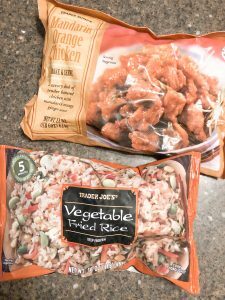 Mandarin Orange Chicken – turns out, this is the most popular item at Trader Joe’s. I love it for an easy weeknight meal. 2.) Vegetable fried riced – I pair this with the mandarin orange chicken and some steamed broccoli for a healthier version of Chinese takeout and a quick weeknight meal. 3.) Cauliflower gnocchi – another favorite for an easy weeknight meal. I saute this with some butter and throw in their chicken apple sausage for some protein. 4.) 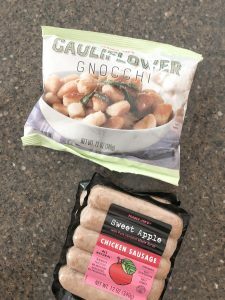 Chicken apple sausage – love this in the cauliflower gnocchi. My son also loves to wrap them wrapped in crescent roll dough for lunch. 5.) 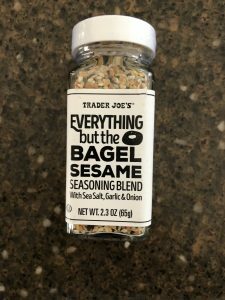 Everything but the bagel seasoning – I recently just bought this for the time as I’ve been craving bagels with this pregnancy. For a healthier option that still curbs your bagel hankering, slice some cucumbers, top with cream cheese and sprinkle some EBTB seasoning! I also hear it’s great on avocado toast. 7.) Spinach artichoke dip – I love having this in the house for anybody that stops in and I can serve it quick with some tortilla chips. I also like to spread it over chicken and bake in the oven for a yummy spinach artichoke chicken bake. 8.) Riced cauliflower – Whenever I’m trying to cut back on my carbs, we do riced cauliflower a few times a week. My favorite way to eat it is in a burrito bowl topped with a protein, cheese, salsa and guac. 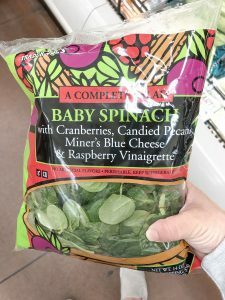 I love the fresh version in the produce section but they also have it frozen too! 9.) 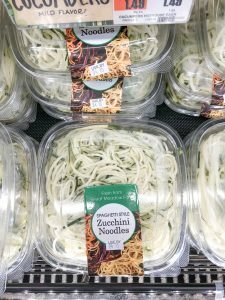 Zucchini noodles – Another favorite carb free subsitute, we do zucchini noodles at least once a week served with marinara and turkey meatballs. 11.) 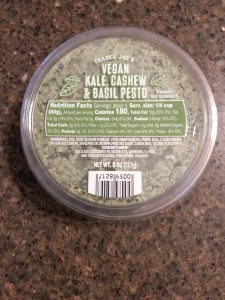 Vegan kale cashew & basil pesto – What I love about the T.J.’s version is that it’s not oily compared to other pestos. I love to top it on their cauliflower pizza crust or sautee into some of their pasta and add some fresh veggies. 12.) Baby spinach salad – baby spinach, cranberries, pecans, blue cheese and raspberry vinegarette ready to serve. I top it with their grilled chicken for an easy lunch to take to work. 13.) 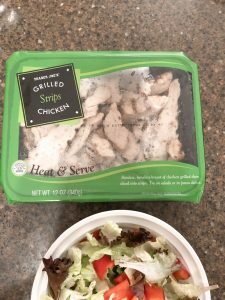 Grilled chicken – this is so convenient. I love to have this in the house to make salads for work. I get about 3-4 salads out of it. 14.) 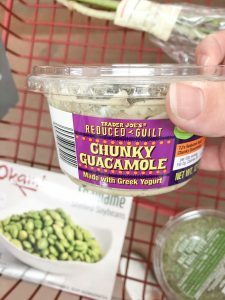 Reduced guilt chunky guacamole – I never met a guac I didn’t like, but I love this one especially made with greek yogurt. 15.) 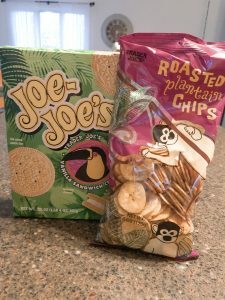 Roasted plaintain chips – these are a huge family favorite in our house for when you want something crunchy. 16.) 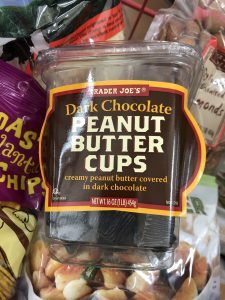 Joe Joe’s – These are Maxwell’s fave! He even named his Elf on the Shelf Joe Joe. When we pick up a box, it never fails, he has to open them and snack on some while we shop. 17.) 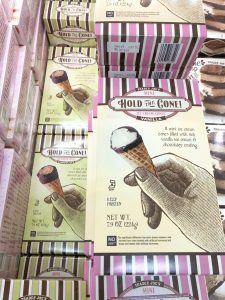 Mini hold the cone – these are perfectly portioned little ice cream cones when you want a sweet treat but not over-do it. 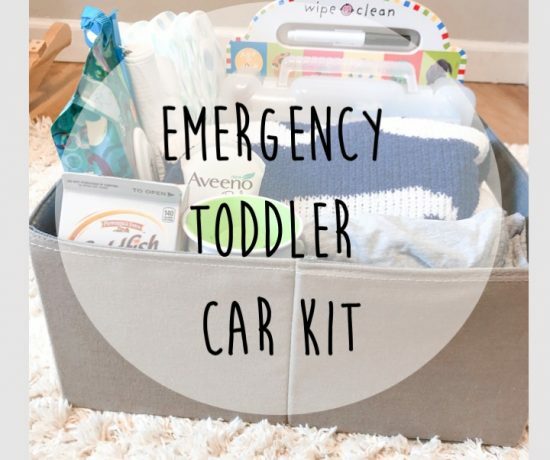 And they’re perfect for my toddler. 18.) 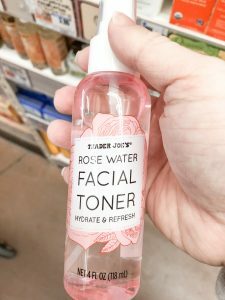 Rosewater facial spray toner – I find this to be pretty comparable to other well known brands. I love to apply it as soon as I get out of the shower before I apply my moisturizer. 19.) Tea tree shampoo and conditioner – Made with peppermint, tea tree and eucalyptus, this smells amazing and it gives your scalp a nice refreshing tingle too! 20.) 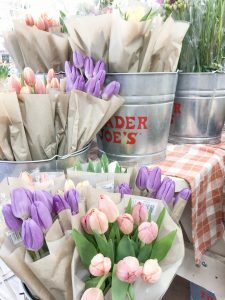 Flowers – I love their fresh flower selection! 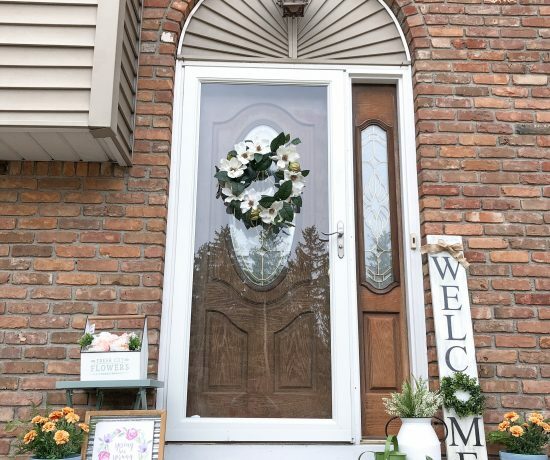 My favorites are their eucalyptus and hydrangeas but I also love their other seasonal blooms they have throughout the year. I also love their smaller potted plants like their succulents and lavender. 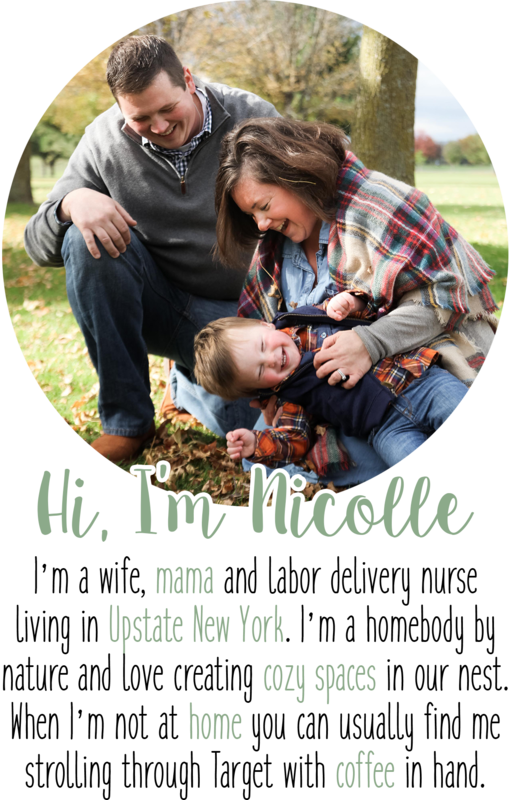 They make perfect little hostess gifts.